The new Ford Fiesta Hatchback has never looked so exciting. The beloved family car has always been cute to look at, but now there’s an edginess about it that has ensured it’s remained eternally young. The Fiesta continues to appeal to keener drivers who want to make a bit of a statement out on the road. On that note, it’s also as fun to drive as ever and is still as cheap to run as it’s always been. As such, it isn’t hard to see why it’s been so popular with buyers for so long – budget, trendy and now visually striking. Owing to its compact dimensions, it’s never going to be the most practical or versatile hatch on our roads, but there is a five-door model available for improved room and storage. OSV takes a closer look at what it’s all about with our Ford Fiesta review. Whether you still fancy yourself as a racing driver, or you just want some on-the-road entertainment as you make your way to work, the new Fiesta is the ideal companion. The steering is direct and plants you with confidence on the road and the car is as agile and nimble as a twinkle-toed ballerina. The controls are easy to use and visibility is good, which ensures a hassle-free driving experience. All you have to do is focus on your navigation. 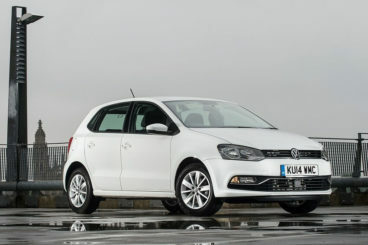 The car is also smooth, but it’s not as composed or as quiet as some rivals, such as the excellent Volkswagen Polo. The entry level 1.25 and 1.6-litre petrol engines are now dated and probably worth avoiding. Push them too hard and they’ll creak and groan like your old man when he’s got a bad back. The 58bhp 1.25-litre variant is especially underwhelming and takes 16.9 seconds to get you from rest to 62mph – pretty much the same amount of time it takes to make a sandwich! The 1.0-litre EcoBoost petrol engines are far more impressive and come in either 98 or 123bhp guise. They’re small, but thanks to the clever tech they have the power and bite of a bigger engine. The most powerful of the two can get you from rest to 62mph in just 9.4 seconds and is useful in overtaking situations. There is also a 138bhp EcoBoost engine available, which is the fastest Fiesta available right now. It can be boosted to 163bhp if you snap up the optional £1,400 Mountune MR165 after-market upgrade, doing so improves its 0-62mph time to a rapid 7.2 seconds. A single diesel engine rounds off the range, a 1.5-litre TDCi unit that comes in either 72bhp or 93bhp, with the latter capable of covering the 0-62mph dash in 10.9 seconds. Whichever engine you settle on, a 5-speed manual gearbox is standard. It’s easy to use and feels responsive enough, though you can opt for a smoother 6-speed automatic box if you wish. The cabin looks and feels of a high-quality and it is easy to get comfortable once inside. The driving position is excellent and affords you a clear view of the road ahead while the steering wheel and driver seat adjustment add to the comfort levels. The exterior is certainly as bold as Ford have ever been with their beloved Fiesta (and dare we say, as bold as they’re ever going to get), but we’re pleased to be able to say that they’ve also been as creative with the interior. The dashboard has a sweeping design that is easy on the eye and comes with a prominent centrally mounted screen. The infotainment system gets a smartphone-inspired layout and quality throughout the cabin is mostly good. There are a few minor criticisms – fit and finish feels a bit flimsy and there are some scratchier plastics down below. Still, you’ll mostly see soft-touch plastics, which is a good thing. Practicality lets the car down a bit. The boot is small and the rear seats are cramped. However, the dimensions are average for this sector, so it’s unlikely that you’re going to find the perfect all-rounder. It’s also got a few good things going for it – it’s easy to park and access the rear seats in the five-door model is easy, thanks to wide opening doors. There are also plenty of handy storage spaces dotted in and around the cabin, including a big glovebox and good-sized front door pockets. The boot meanwhile, measures 290-litres. Its loading lip is low and it comes with a fairly hefty boot lid. You can extend it to 974-litres by folding down the rear seats. We recommend that you overlook the base-level Studio model, as you can only get it with the underwhelming 1.25-litre petrol engine. It can also only be bought as a three-door model and misses out on the brand’s MyKey system and air conditioning, which the Style model gets a premium of £1,700 over the Studio line. 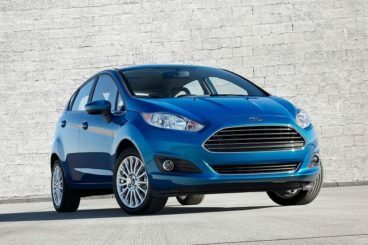 The mid-range Zetec is our top pick. It comes with ambient lighting, a leather handbrake lever and steering wheel and feels the part. The sportier Zetec S throws in firmer suspension and a body kit, while Zetec White and Black editions add power folding mirrors, rear privacy glass and 15” black-painted alloys. Prices start out from £10,300 and rise to £18,500. This is a small car serviced by small engines, which means running costs are as low as you’d expect. If fuel economy is a big priority of yours, the 1.5-litre TDCi ECOnetic diesel engine makes the most sense, as it’s capable of returning 88mpg while being exempt from road tax. 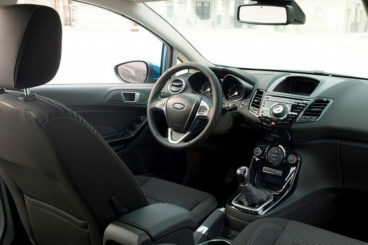 However, cars such as this are generally used by buyers who make frequent short journeys, for which the 1.0-litre EcoBoost petrol engine is the most suitable. In either 98 or 123bhp variant, the engine is free from road tax, while stop-start tech helps to keep fuel economy respectable. The 1.25-litre petrol engine is cheap to buy, but it’s not as efficient as most other engines in the range, and as such isn’t all that desirable. The ST model, meanwhile, is by far the worst performer and can’t average fuel economy returns better than 40mpg. 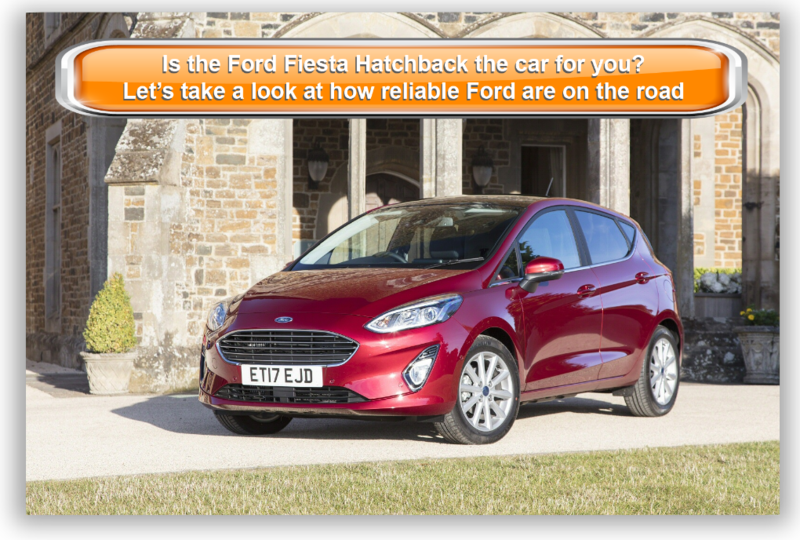 The Fiesta 2016 won’t cost a lot to insure, with most models occupying either group 11 or 12. The Zetec S is more lucrative and sits in group 18. This is arguably the standout looker in the hatchback sector. The Fiesta has for a long time been developing a reputation for entertaining handling and it continues to set the benchmark, against which all other small hatchbacks shall be judged. It seems as though asking such a fun to drive and fantastic to-look-at car to also be cheap to run is asking too much, but excellent efficiency and economy round off a trio of gold star pros. If practicality is of the utmost importance, you’d be better off checking out an MPV-type super mini instead. Things don’t get all that expensive until you reach the Zetec S, an excellent model that is almost £8,000 more expensive than the basic entry-level variant. It’s also a lot more expensive to insure. Let’s see how the car measures up against its rivals in the comparison section of our Ford Fiesta Hatchback review. The new Volkswagen Polo Hatchback is spacious, well-kitted out and can boast one of the most upmarket interiors in this class. 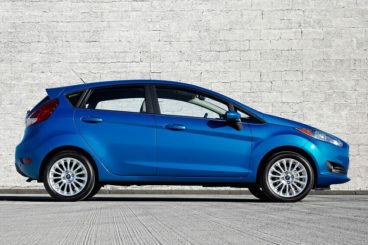 The Ford Fiesta is undoubtedly more fun to drive than the Polo, which is more comfortable and quiet than entertaining. Moreover, in bends, it lacks composure and doesn’t inspire you with as much confidence. The steering is overly light, while a soft suspension setup results in too much body lean as you tackle bends. Like the Fiesta’s most basic petrol engine, the cheapest petrol in the VW is worth overlooking. Moving up to the 75bhp 1.0-litre petrol engine is worth the extra cash, as it completes the 0-62mph dash a whole 2 seconds quicker than the basic 59bhp 1.0-litre variant. We like the turbocharged 1.0-litre petrol. It’s got plenty of punch and can cover the 0-62mph sprint in just 9.3 seconds while producing up to 108bhp. It’s at home both in the city and on the motorway. There are a few more petrol engines to consider, all of which suit the character of this car, while the more expensive diesel models reward you with better economy. For example, the 89bhp 1.4-litre diesel engine can achieve fuel economy returns of 81.1mpg, while costing nothing in road tax. The petrol models aren’t exactly what you’d call expensive to run, though, with the basic 1.0-litre 59bhp able to average returns of 60.1mpg, while costing £20 a year in tax. It’s really the interior where the 2016 Volkswagen Polo excels and its cabin feels and looks more upmarket than the one in the Fiesta. It’s comfortable, refined and has a big-car feel to it. Fit and finish is excellent and while overall design is restrained and even conservative, it’s slick, polished and nice to look at. 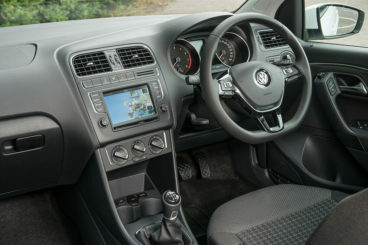 The interior is also reasonably spacious (for this class) and VW has used the compact dimensions well. There is both a three and a five-door model available and both can offer good head, leg and shoulder room. The five-door is easier to get in and out of, but storage space is good in both versions. The boot can offer a 280-litre capacity and thanks to a low load lip is very usable. 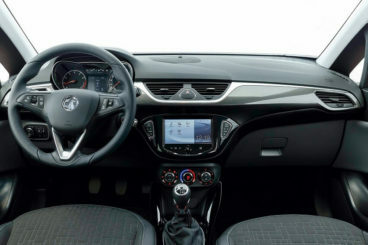 The Vauxhall Corsa Hatchback has recovered its reputation in recent years and is now a sensible and practised car that represents a solid alternative to the Fiesta. One of the things that Vauxhall knew they really needed to improve if they were to genuinely compete with the Fiesta is the way the Corsa handles. They’ve done a good job and a stiffened, lowered suspension setup makes it more fun to drive than ever. Last time around, it was difficult to recommend any of the petrol engines, but a new 1.0-litre 113bhp is an excellent power plant. It can get you from rest to 62mph in 10.3 seconds and is both efficient and refined. An underwhelming 74bhp diesel engine should be overlooked, while the 94bhp variant can’t match the liveliness of this car. It’s well worth sticking to the petrols if you want an entertaining drive. 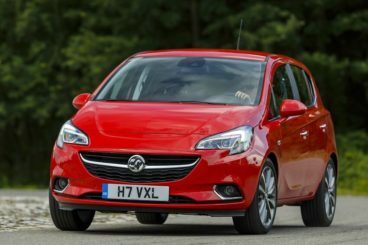 Another criticism that has been addressed by Vauxhall is the Corsa’s costs. It’s now £2,500 cheaper to buy and cheaper to run, with the 94bhp diesel able to achieve fuel economy returns of up to 88.3mpg. It’s also free to tax, while the most frugal petrol engine averages returns of 65.7mph and also doesn’t cost anything to tax. The interior is one of the best in this sector, although one criticism is that the comfortable seats feel a bit cheap. Apart from that, a well-built dashboard comes with the brand’s smart 7” touchscreen, whole most of the materials are of a sound quality. You can get the 2016 Vauxhall Corsa Hatchback in either three or five door body style and while both cars have the same layout upfront, the latter is naturally more versatile. Accessing the rear seats in the three door is tricky, while a sloping roofline limits headroom. The boot, meanwhile, measures 285-litres and thanks its square shape is very usable. The Fiesta has been around since the early nineties, but only became a consistent best seller in 2008. Since then, it’s got better each year. In 2016, it remains the quintessential small hatchback. Fun to drive, versatile, comfortable and now more exciting to look at than ever before, the Ford Fiesta Hatchback is very much a car to savour.